Minimalist knives offers straightforward design, clean refined aesthetics, and no unnecessary extras. These types of modern knives are simple and uncomplicated and offers the best functionality with good design. 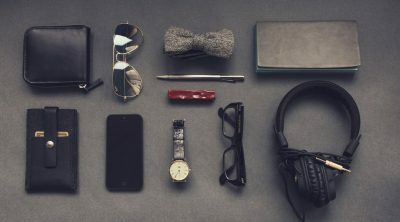 If you find that you need a knife with no frills, choose one from our list of the best minimalist pocket knives for everyday carry. 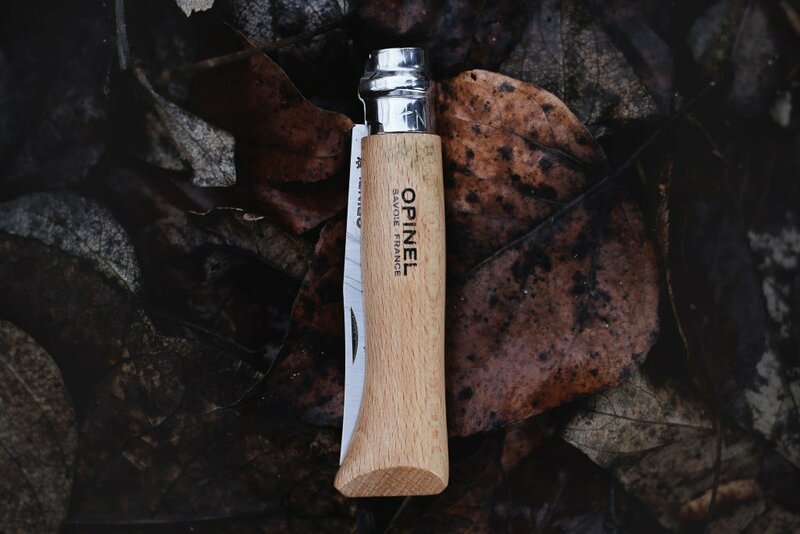 Opinel makes traditional pocket knives and Opinel No. 7 strikes the best balance between size and weight for everyday carry. This simple, reliable, and durable tool has a 3.15 inch blade made from Carbon steel. A modern gentleman’s knife beautifully crafted with Beech wood handle and a locking collar for safe use and storage. Definitely a top choice for best minimalist pocket knife. Gerber pocket knives are excellent everyday carry knives and the Gerber Pocket Square is a sleek knife with a modern minimalist design that comes in either nylon or machined aluminum handle. 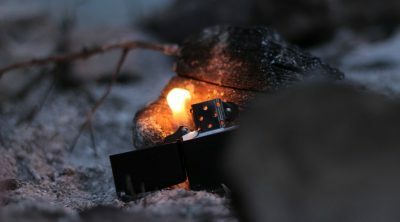 The mini pocket knife features a 3-inch drop point steel blade which is held in place by a strong liner lock mechanism. It has an ambidextrous thumb lift for easy blade deployment. The removable and reversible deep carry pocket clip allows for discreet comfortable carry. Gerber Pocket Square is one of the best small EDC knives available. Deejo Naked 15g is an ultra-light knife stripped down to the bare essentials. The 15g model is the smallest size with an ultra flat chisel grind 2.3 inch blade. The slim pocket knife has a skeletonized handle that integrates a secure liner lock system. 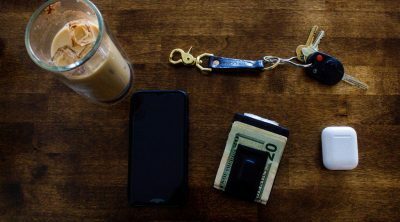 A hole in the handle allow a lanyard to be inserted or attached to a keychain. This is a pure minimalist knife that you can easily slip into your bag or pocket. CRKT Cuatro knife comes from a line of CRKT flipper knives which is a compact, lightweight everyday carry knife with a simple and effective design. It features a 3.199 inch drop point blade made from 8Cr14MoV stainless steel. This CRKT minimalist knife has a contoured black G-10 handle scales that offers secure and comfortable grip. Lockup is nice and secure with the inset stainless liner. IKBS Ball Bearing Pivot system ensures fast and smooth operation combined with the flipper deployment. The everyday minimalist will appreciate this knife with good form and function. SOG Twitch II features a 2.7 inch AUS-8 drop point blade, sleek machined aluminum handle, and a secure lock back design. Assisted opening makes the blade quick to deploy with either hand using the thumb studs or flipper. The aluminum handle scale is hard anodized for durability and has a wide non-reversible pocket clip that can be used to hold cards or dollar bills. If you need a lightweight, handy, and versatile minimalist pocket knife, SOG Twitch II fits your needs. Nagao Higonokami is a classic traditional Japanese folding knife famous for its light weight, durability, and simple design. The slim profile makes it pocket-able and suited for everyday carry. A 3.5 inch reverse tanto blade is made from Japanese blue steel and has good edge retention. This minimalist pocket knife is a friction fit folder with a brass handle and the minimalist design makes it suitable for those who need a simple and basic functional tool. The Boker Plus Exskelibur is a slim, elegant, minimalist folding knife that is ideal for daily use. This is the bigger model of Boker Plus Exskelibur II with more interesting features. 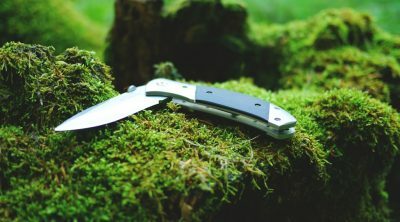 The slim pocket knife has a unique front flipper opening mechanism that is very simple to use and stands out compared to other flipper knives. The 3.5 inch CPM-S35VN steel is both strong and durable and a great slicer. The carbon fiber handle scales are thin and elegant and has a secure liner lock. This is a lightweight and thin pocket knife that looks good and has interesting features not found in other knives of similar price point. Kizer Feist is a small titanium front flipper designed by Justin Lundquist. Its simple operation and clean aesthetics makes for an interesting minimalist knife for everyday carry. The front plipper has a ball bearing pivot that offers fast blade deployment. Rounded titanium handles are very comfortable to use and provides excellent grip. The blade is constructed from CPM-S35VN steel with a length of 2.83 inches. Kizer Feist an great EDC knife with a very low profile and can easily be carried even in more professional settings. Spyderco Sage 5 is the latest version in the Spyderco Sage family of knives. It now uses Spyderco’s Compression Lock which is a stronger and user-friendly lock mechanism. The 3.03 inch full flat-ground blade constructed from CPM-S30V handles cutting tasks with ease. The combination of textured carbon fiber and G-10 handle scales are lightweight and practical and gives and elegant appearance. Suited for those who like to have a carbon fiber theme in their everyday carry. A new take on the classic pocket knife, The James Brand the County knife has a slim and modern appearance and good for discreet carry. This is a traditional slip-joint pocket knife with a 2.5 inch Sandvick 12C27 steel blade with a modified straight back design. The small knife has a handle with a combination of 416 stainless steel and walnut wood giving it a unique contrast and looks great. 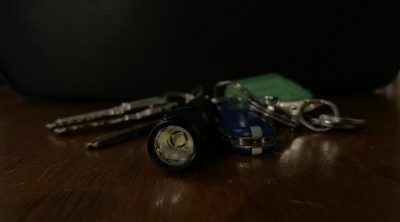 There are no pocket clips so you can easily slip it in your pocket but there is a lanyard hole for lanyard carry. The James Brand the Country knife has a slim minimal design, very functional, and will be a good heirloom knife for people who value beauty and excellent craftsmanship. LZero Tolerance Sinkevich 0450 is compact version of Zero Tolerance 0454 and just like its bigger brother, it is a stunning knife. It has an attractive look with perfect clean lines and fantastic design. Handle is Titanium which is slim and light and has excellent feeling in the hand. The blade is S35VN steel with a saber grind and a length of 3.25 inches, it is perfect size for everyday carry tasks. The Titanium handles has a sleek and sophisticated appearance that is also functional and combined with the strong frame lock ensures solid lock up. Zero Tolerance Sinkevich is a slim pocket knife with refined looks, good design, and strong build quality that makes it one of the best minimalist pocket knives that you can get. Spyderco Domino is a flipper opener with a frame lock design. The knife has a full flat-ground blade machined from premium CTS XHP steel which has superior hardness and corrosion resistance. The handle has titanium scale and liner and with a black diamond check Carbon fiber G-10 that gives the knife a unique character. The black four position pocket clip allows for different carry methods suited to your needs. The James Brand Chapter knife is a titanium frame lock knife with simple construction and minimal moving parts. The mini pocket knife has a D2 stainless steel drop point blade that comes at 2.8 inches in length which is very durable and easy to maintain. The Titanium handles have smooth rounded edges for better ergonomics and comes with stainless steel hardware with black oxide coating. The knife’s small profile with a clean modern design makes for one of the best minimalist pocket knife for EDC. Benchmade Mini TI-Monolock is the mini version of the Benchmade Ti-Monolock 761. This is a more EDC friendly size with the same premium material as the larger model. It has Bohler M390 drop point blade steel, ball bearing pivot, and titanium frame. The reversible clip allows for different carry option. The thin pocket knife with the smooth handle makes it easy for pocket carry. Our list won’t be complete without mention of the worlds finest knives from Chris Reeves. Chris Reeve Sebenza 21 large model has 3.52 inch tumbled finish drop point blade made from S35VN steel. Titanium sandblasted handles provides excellent grip and the integral frame lock makes for a rock solid secure mechanism. A very solid and well built knife with legendary smooth operation that makes for a great daily carry. Chris Reeve Knives makes the best minimalist pocket knives. The Sebenza 21 is an iconic and exceptional knife and highly recommended as a minimalist pocket knife if you value having the very best there is.